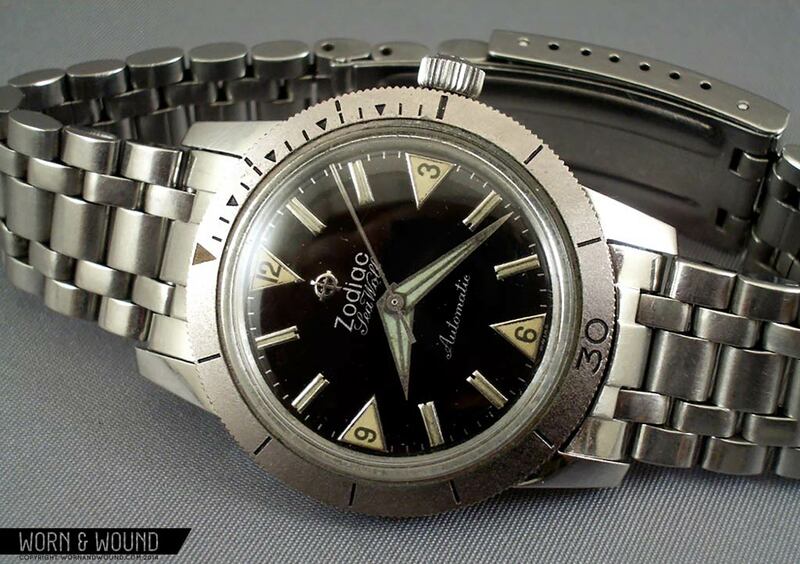 Zodiac launched the Sea Wolf divers watch in 1953. When it was a featured at the Swiss Watch Pavilion at the 1964 World’s Fair in New York, it really gained in popularity. The Sea Wolf featured the caliber 70-72 automatic movement that was a collaboration between ETA and A. Schild. The first model did not hack, but shortly after its debut they added a hacking mechanism. It featured a newly designed snap on case back w/gasket that they labeled as “20 ATM. Especially Water Tested”. This new sealing system, combined with the thick and highly domed acrylic crystal and a longer crown tube enabled the Sea Wolf to function as a genuine tool divers watch, rated to a depth of 660 feet. The Sea Wolf is instantly recognizable with its bold triangle hour markers at 12, 3, 6, and 9, and unique lume filled triangle hands. This combination really gave the Zodiac a look like no other watch at the time, or even to this day for that matter. The first generation Sea Wolf had triangle hands with only lume in them. Very soon after they switched to hands that had a line of metal through the middle if the hand, like the watch pictured here. The original model came with a metal bezel, and later it was switched out for an acrylic bezel. Unfortunately, both bezels are plated brass, and easily susceptible to wear. The one pictured here has a mint metal bezel, and you can easily see the original matte finish. They came with either gloss black or white dial, and with a non-date and date option (called the Datographic). Unfortunately, the movement in the Datographic utilizes an offset cannon pinion that is prone to wear, and replacements are impossible to find. This weakness is not present in the non-date version, making the non-date much more desirable to collectors. The good thing about this new movement was that is was thinner, and enabled the watch to be thinner as well. The original metal bezel version is a mere 7.5mm thick at the bezel, and just over 11mm including the highly domed crystal. At just under 35mm wide not including the oversized signed crown and with 17.4mm lugs, the Sea Wolf is downright svelte compared to other divers of the era. The Sea Wolf was available with two different bracelets. The older version is a riveted oyster style with stretch links that was made by Zodiac. The later versions came with a JB Champion bracelet that looks a bit like the jubilee style. I’ve had both, and the JB Champion one is very nice and definitely more comfortable, but the stretch oyster has a “cool” factor that can’t be beat. The oyster is much harder to find, especially with the stretch links functioning properly. The Sea Wolf is not a scarce watch by any means, but I’ve found them to be quite difficult to find in excellent condition. The plating on the bezel wears very quickly, leaving a brassy look to the edge of most examples. Plus, this was a watch that was very often used for its intended purposes, lending itself to wear from use. They were also sold at the PX military stores during the Viet Nam war. The hacking feature and excellent water resistance combined with a cheaper price than others available at the PX made them quite popular with soldiers. Given their military connection and relative scarcity in good condition, the Sea Wolf has increased in value over the years. They can be found anywhere from $200 for a well used one, up to nearly $1000 for a pristine example with an original bracelet and box and papers. I’ve found that with some patience, a decent example can be found for around $500. Zodiac expanded on the Sea Wolf line later on, adding a number of variations. There was one with an orange minute hand and orange minute track which looks very cool, and a chronograph diver too. The also did a Super Sea Wolf housed in a cushion shaped Super Compressor case. This one also came in a chronograph option. They had a gold plated dress diver version, as well as the SST which featured a “coffin” shaped case and an internal rotating divers bezel. 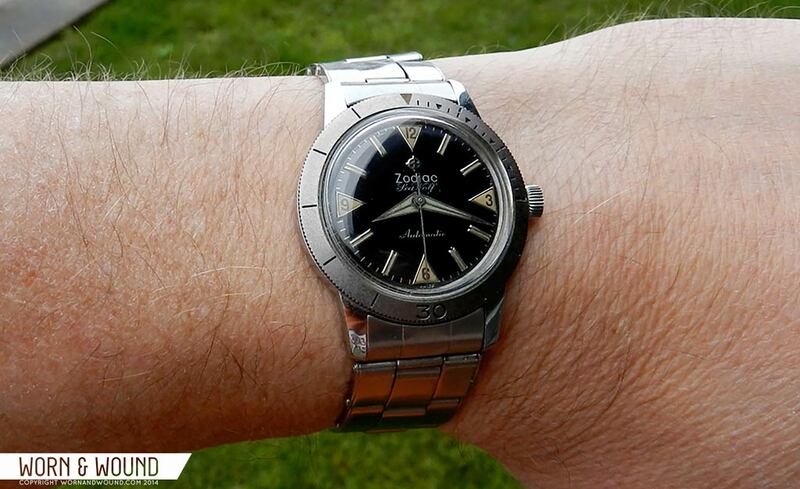 Even later they released a newly designed Super Sea Wolf with a “buzz saw” style bezel, a sapphire crystal, and a huge 43mm case rated to a depth of 1000m. 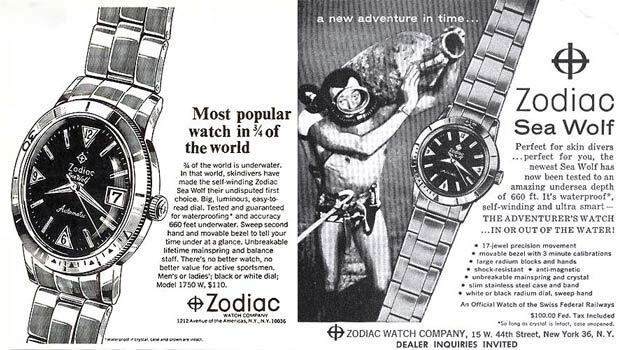 According to a printed Zodiac advertisement, this Super Sea Wolf model was used by the U.S. Navy Frogmen and U.S. Navy Seals, and was the official watch of the Naval Special Warfare’s Underwater Demolition Team. These are all excellent watches that are popular with collectors, but nothing is quite as iconic as the original black dialed version with those unique triangle markers and hands. The Zodiac Sea Wolf also has a bit of infamy attached to it, which we covered in our article, Watches on the Screen: Zodiac. In the late 1960’s the Zodiac Killer terrorized San Francisco killing a confirmed seven, but potentially up to 37. He signed his cryptic letters to the police with what looks a lot like the Zodiac Watch logo (cross in a circle). In the David Fincher film “Zodiac”, the main suspect is seen wearing a white dialed, metal bezel Sea Wolf. This reflects the true fact that their prime suspect, Arthur Leigh Allen, was known to wear a Sea Wolf. According to the fine folks at Zodiac, they are reaching back into their past and in the next couple of years coming out with the Heritage 1882 series, a nod to the year the company was founded. I’ve been told by Zodiac that in the Spring/Summer of 2015 they plan to release a Heritage version of the Sea Wolf! I was very pleased to hear that they are embracing their roots, and hopefully this will help to restore Zodiac to their former glory. It looks very much like the vintage Sea Wolf, but with modern specs and durability. The Heritage Sea Wolf will measure 39mm wide, and feature an in-house Swiss automatic caliber STP1-11 movement. It will be rated to 20ATM, with stainless steel case and bracelet, AR coated sapphire crystal front and back (! ), with Superluminova C3 on the indices and hands. It will be priced at $1195 on the bracelet. They even mentioned to me that the available bracelet will have “some stretch” in it, a great homage to the original stretch oyster bracelet. This is one watch I’ll be looking forward to! Why don’t they go back to the original 35mm? I really like it and I’m glad to see them making a redo of this…it might just be on my list. And, 39mm is not too big…they could have gone the way of many and made 40mm+. I always forget about Zodiac, and its so cool that they are updating the sea wolf, from the specs it sounds like it’ll be like the old one, only with updated modern features. that price sounds nice too! Is the movement being used as the same new Zodiac’s w/ the CL caliber that is being claimed as Swiss made but is coming out of China, for the same price point? 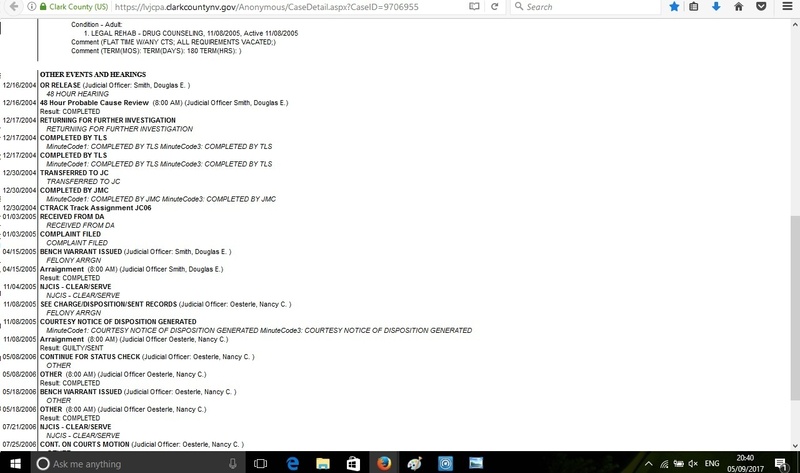 If their is a non date version available, I would consider if the movement is not the “CL” I referenced above….. The vintage Seawolf band importance should not be overlooked. The band needs curved ends and the non flex vintage band should be done for the heritage Seawolf. my seawolf is one my my favorites. there’s an entire site with forums dedicated to vintage zodiac watches (www.vintagezodiacs.com) that has some great information about these watches. Great blog, and a fantastic watch. Always wanted one but cannot afford a good one! Look at the trolling stalker trying to act normal for a change ! kiddo kipps is one of the worst trolls on the web and he is known under MANY different name which include Bobbee aka kiddo kipps aka SkankHunt42 aka benderbending aka tedward aka Bobbee53 aka coryt aka TruthSeeker aka thumbs aka watch junkie aka hawk53 aka JANEY aka harvey aka Fraud seeker aka FakeFinder aka (many more). He’s been banned at every watch collector website and forum many, many times and he even got the boot at his HOME watchuseek for his BS and trolling with them stating “your no longer welcome here !”, Not just a ban BUT “your no longer welcome here !” !!! That pretty telling right there ! BUT that’s not all ! 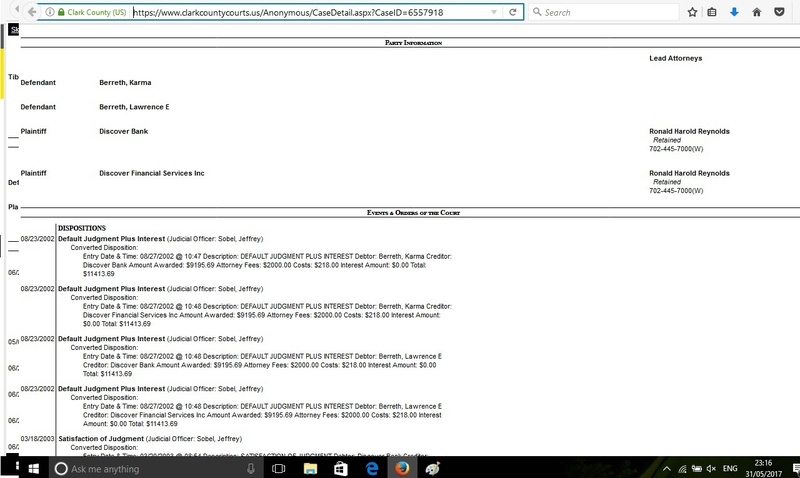 He even got kicked of the panel in disgrace at myBulova and banned for life ! Kiddo kipps is an old google username of mine. 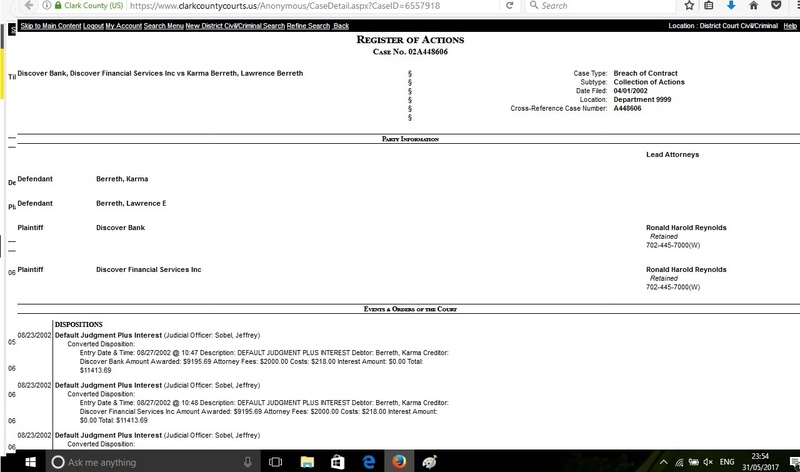 Accutronitis the felon and fake watchmaker, the troll and banned everywhere..
Accutronitis the watch troll, aka Steven Berreth of Las Vegas. 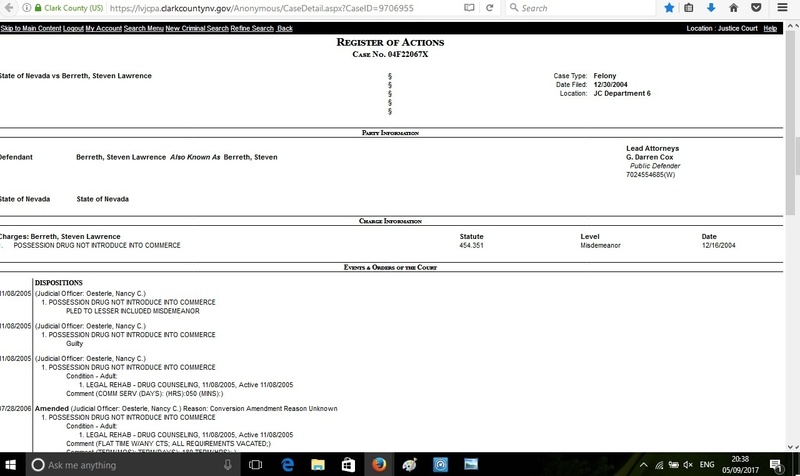 Felon and libellist, fraud and liar. 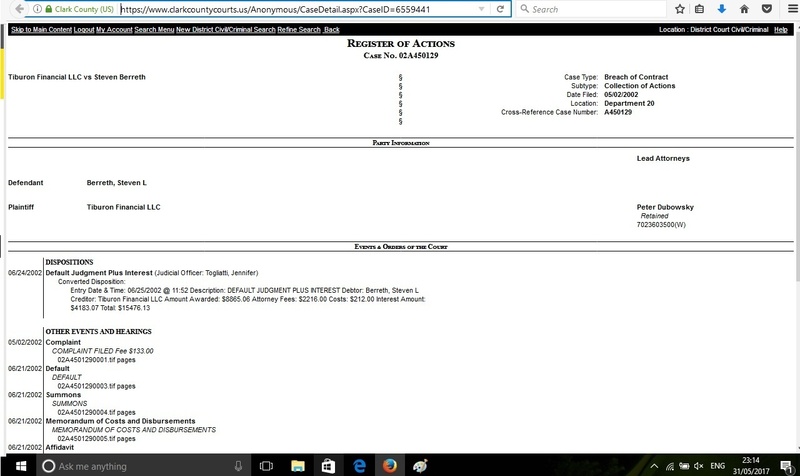 Of the several cases against you your family and your family business, here are a couple. “According to the fine folks at Zodiac, they are reaching back into their past . . . . . . I was very pleased to hear that they are embracing their roots” WHAT past and what roots would that be buddy, those of Fossil? The original company sold all the brand rights outright in 1990 and that company who bought it went bankrupt in 1998. The trademarks were bought in a firesale a year later and eventually were transferred to Fossil about twelve or thirteen years ago. The movement in that watch can be found RETAIL bought as a one off unit for between $190-245 bucks, how much you think Fossil pays buying them in bulk, the case like all things Fossil is no doubt from China. Anyone here feel like spending $1000 on a Fossil? I feel the same way when I see people paying crazy prizes for Shinola. I bought my Sea Wolf at a Navy PX in Yokuska, Japan back in 69 when I was there on the battleship USS New Jersey BB-62. I’ve had it serviced once and it still works well. Great watch. Mike Cecchini, Bethesda, Md USA. Oh…….I forgot to ask, where’s the “Sea Wolf” logo on the face of the new Sea Wolf? So, the Datographic SeaWolf has the ‘offset cannon pinion that is prone to wear’; if that fails, does that only affect the date, or timekeeping as well? I was presented my “Seawolf” in 1969, after winning the 4th Armored Division Mechanized Infantry Squad Proficiency Course competition as the top Squad Leader at Grafenwoehr, Germany; unfortunately another soldier decided he needed it more than me and stole it while I was in the shower. Not like he didn’t know who owned it since my name and unit were engraved on the rear of the case. Only had it for 3-days. 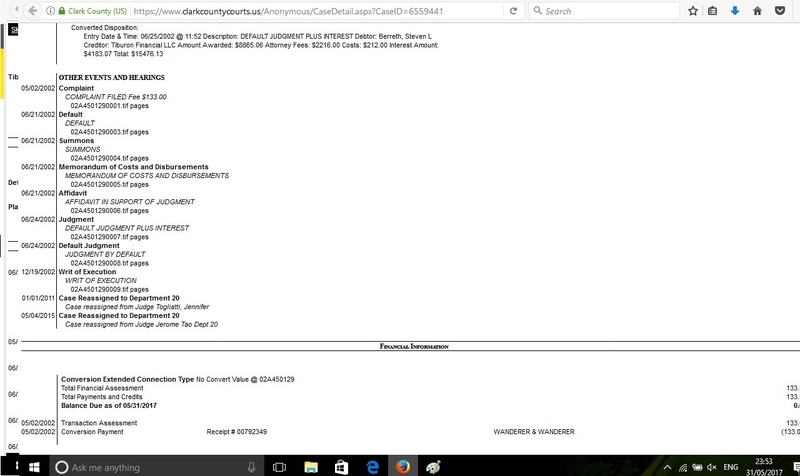 And a default judgement against you for breach of contract, total awarded against you, $15,476.